The design of the Stormtrooper has enjoyed several tweaks through the first six Star Wars movies, from the clean-cut white-and-black appearance in A New Hope to the color enhancements brought in for the digital prequels and the new Clone Wars TV shows. And if the following images are accurate, the Stormtroopers will look quite different for J.J. Abrams’ Star Wars: Episode VII, as well. Maybe we’ll have to start calling them "Chrome Troopers," based on the images shared on Indie Revolver, a site that has brought interesting visual scoops over the course of Episode VII’s production schedule. 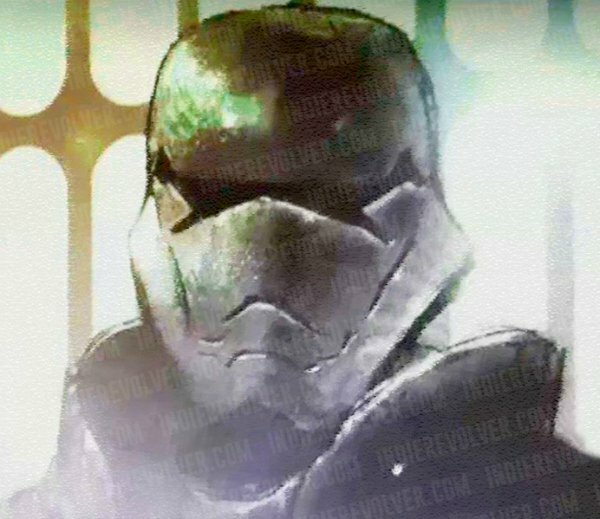 These reportedly are concept images of the design of the new Stormtroopers. They look metallic, with a reflective surface that could look amazing if, say, a lightsaber glow is reflected back in the Trooper’s face. The hood is a new addition for any sort of Stormtrooper that we have seen to date, though the site claims, "The chrome troopers do not actually wear a hood or covering in the film. The metal collar stands up from the torso armor and curves up on the sides before dipping down again at the back." Truthfully, this looks more like Doctor Doom than a character in a Star Wars movie! The site notes that the "tubes" that normally run along the cheeks of classic Stormtroopers have been replaced with a square jaw and streamlined cheeks and face. The eyes look more like animated Stormtroopers. It also gives the faceplate a frown. A second image was shared on the site, in addition. 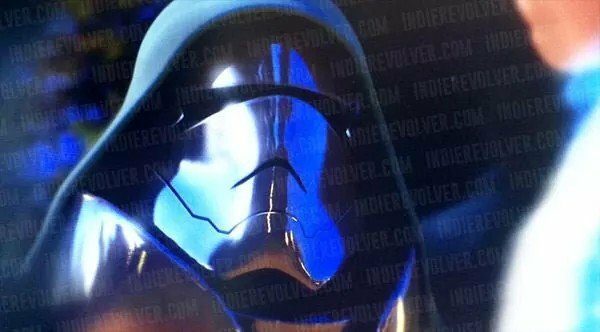 More concept art that the site is claiming reflects the possible design of the Stormtroopers’ chrome helmets. The topic of Stormtroopers has been in the news a bunch these past few days. In an interview with EW, Star Wars: Episode VII co-star Oscar Isaac teased that he had been filming scenes with "hundreds of Stormtroopers," as well as original trilogy stars Harrison Ford, Mark Hamill and Carrie Fisher. The thing is, we still don’t know who Isaac is playing in the film, or if he is prone to exaggeration. But we THINK we know what at least some of the Stormtroopers in Star Wars: Episode VII will look like. What do you think of the design?